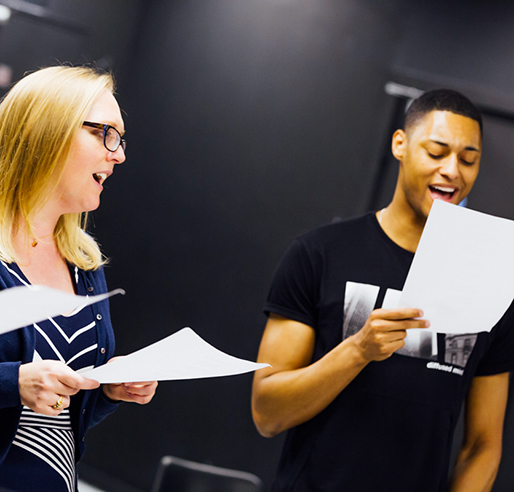 Our Musical Theatre Singing - Level 2 course is suitable for those with some basic understanding of singing technique wishing to improve their skills while singing material from Broadway and The West End. During this course, students will be introduced to a number of techniques and approaches, including acting through song and voice qualities such as twang, sob and belt. If you are a bit nervous then there is no need to worry. Our classes are taught in a fun and supportive environment and most of the time you will be singing in a group, although occasionally you will have the opportunity to sing on your own to check your progress. Exploring a wide range of musical theatre songs.